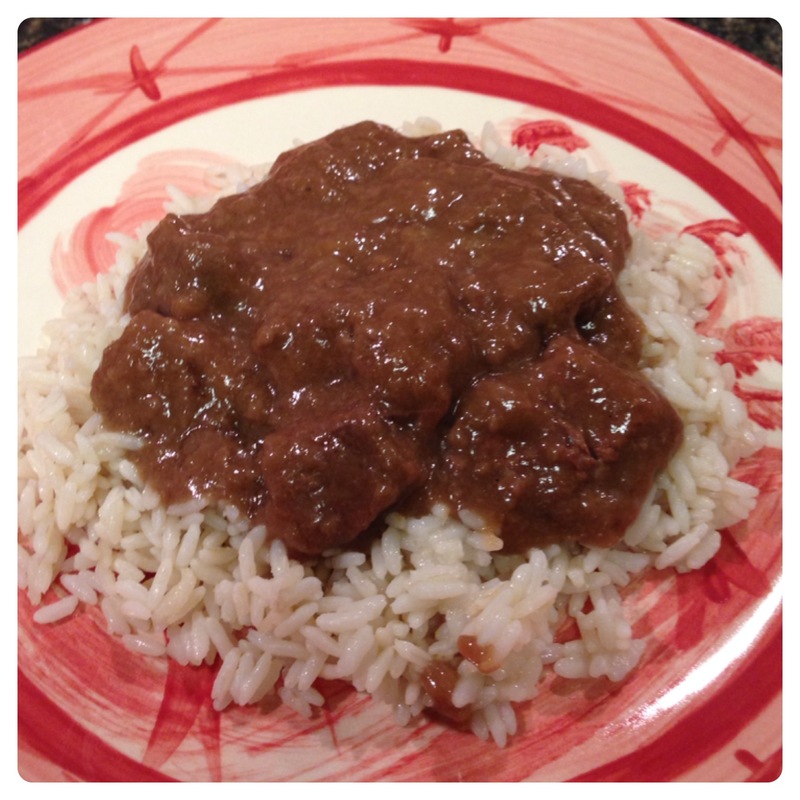 Place stew meat in slow cooker, cover with beef gravy and beef broth. Cook on low, 7-8 hours or on high 3-4 hours. Serve over hot rice.